Tata Education and Development Trust proposes the application for Tata Scholarship 2019 – Cornell University, New York in November 2019. Aspiring abroad students can apply through the Cornell University website before March 2020. Tata Group collaborates with Cornell University, New York to grant scholarship for Indian students to study abroad. Tata Scholarship ensures that the very best Indian undergrad students can study abroad without thinking twice about academic fees. Aspiring candidates must apply for Cornell University admission process in order to be eligible for the Tata Scholarship. 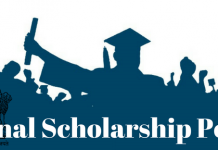 For important details and how to apply for the Tata Scholarship, scroll through this content. Regardless of their financial circumstances, Tata Scholarship ensures that ambitious students can have wings to fly. Tata Education and Development Trust grants the entire academic fees of 20 students throughout the degree. Furthermore, it gives the 25 million funding to Cornell University to offer financial aid to Indian students. Candidates who are willing to study in the USA can apply for the scholarship in March 2020. Point to be noted that successfully registered for financial aid won’t guarantee the scholarship. Those who are most deserving will be granted scholarship for studying at Cornell University. Tata Scholarship Application Form will be released in November 2019. As there is no merit-based scholarship, selection will be done on the basis of financial condition and academics of the candidate. To be eligible for Tata Scholarship, aspiring candidates must have to fill 2 application form before March 2020. Below, we have mentioned the application form details and link to set up a scholarship service profile. Only after submitting both of the form mentioned above, candidates will be considered for the Tata Scholarship. Tata Education and Development Trust and Cornell University will provide the scholarship in selected courses to top 20 immensely bright students of India. Aspiring abroad students can check out the types of courses offered in Cornell University from the list given below. Candidates must qualify all the eligibility criteria in order to apply for Tata Scholarship 2020 for abroad studies. Those who are looking forward to Tata Scholarship can check the table given below for Tata Scholarship 2020 eligibility criteria set by Cornell University. Qualification Aspiring candidates must have cleared senior secondary examination in India. *In courses like art, architecture, engineering, applied economics and management majors, agriculture, life science, physical science, biological science, physical science, social science and other science students, special preference will be given. Students can apply for Tata Scholarship 2020 – Cornell University, New York from the Cornell website. Students can apply for admission at Cornell University on two occasions. Candidates who will be applying for the Tata Scholarship must check the important dates and events from table given below. Early Decision will increase the chances of getting selected. Although it is not certain that applying for the Tata scholarship 2019 will decrease the chances of admission in Cornell University, students are advised to apply in Early Decision time period. There are several benefits of Tata Scholarship 2020 Cornell University, New York. Selected candidates will have to pay no academic fees for their time in the under-graduation course. For B.Arch, University will only provide the scholarship for 8 semesters. Selected candidates will be offered admission in one of the best university for professional degree courses. Tata Scholarship Admission Process 2020 starts with setting up a CSS profile. In this after setting up and completing the CSS profile, students will be eligible for the Tata Scholarship 2020. University won’t offer financial aid for admission through spring 2020 program. Furthermore, Cornell University will stop taking application form after March 2020. After setting up a profile, candidates will have access to fill Cornell University application form 2020 and need-based financial aid form. Filling both of them form is the part of CSS profile completion. One should complete their CSS profile in order to progress to other formalities. After successfully setting up the CSS profile, the office of financial aid will ask aspirants to submit other documents and information. Candidates won’t be able to apply for the Tata scholarship in spring 2019. CSS profile operates on a software that is run by a US agency. Considering that, candidates will have to understand that they are giving consent to the cross-border transfer of information while setting up a CSS Profile. Step by step guide on how to set up CSS profile. By using the link given above, candidates can get access of CSS profile application link. Candidates need to sign up for CSS profile. After successfully signing up, candidates have to set up his CSS profile by providing basic information, candidate’s demographic information, academic information, etc. Once aspiring candidates will provide all the information, he/she will be asked to submit other required documents that we have mentioned above. Submission of all the details will lead to successfully completion of CSS profile. Those who are still puzzled about CSS profile can click on this link to get the complete overview of CSS profile. Cornell University will select the top 20 students from India. To grant scholarship, Cornell University examines the family income, academic qualification and other important details of the candidate. After selection, candidates may have the right to choose the course/college out of given preference list. For complete information and latest update on Tata Scholarship 2020, visit the official website of Cornell University. Comment below if you have any query or doubt regarding Tata Scholarship 2020. Adios!